Alchemy! Theatre, books and birds. I used to think being a writer involved tapping away at a computer in my pjamas, drinking copious amounts of coffee and then twiddling my thumbs waiting for my editor to read my manuscript. However, I increasingly find myself juggling many things…writing a new draft of a story, editing older drafts of other stories, discussing the layout of illustrations, preparing for school visits and trying to answer emails which sift into the computer like snow (as soon as you think you’ve cleared one load, more drift in) and being distracted by social media. On top of that, there’s the cooking, cleaning, dog walking etc etc…all of which makes me feel as if I can't quite keep everything together. But sometimes the planets align and everything just seems to slot into place. 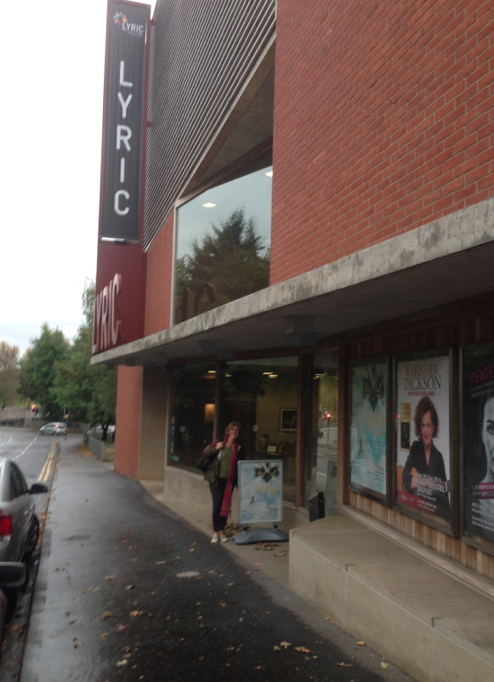 Last week this happened at the Lyric Theatre in Belfast when theatre, books and birds all came together at the showing of the stage production of Sky Hawk. It began about eighteen months ago, when a teacher in North Wales handed a copy of Sky Hawk to Tim Baker, the theatre director at Theatr Clywd in Mold and suggested that he might like to adapt the book into a stage play. When Tim contacted me, I knew in that one phone call, that his enthusiasm and vision would create something remarkable. 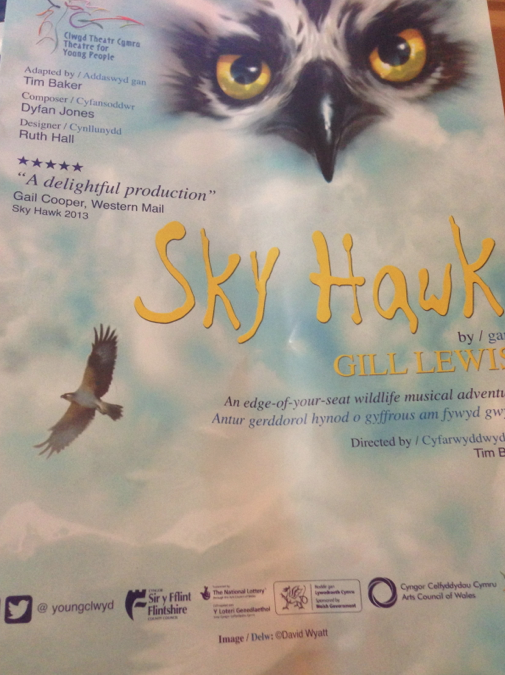 And so, with soaring music composed by Dyfan Jones, Sky Hawk the musical was hatched and took flight at the Theatre Clwyd in North Wales in June/July 2013. Tim is a champion of bringing the arts to young people, especially bridging the gap between primary and secondary school, a time when the creative arts seem to drop out of the school curriculum like fleas from a dead dog. Not a very good analogy, I know, but I remember my own experience in that transition, feeling the fun had been taken out of learning and any creative spark extinguished in the race to learn facts for compulsory testing. 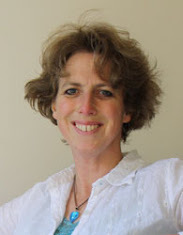 My experience of creative writing took a thirty-five year gap between the end of primary school and enrolment on a writing course as an adult. Tim's answer is to bring live theatre to schools and provide drama workshops to reconnect children with the arts. When I saw Sky Hawk for the first time, I was blown away by it. 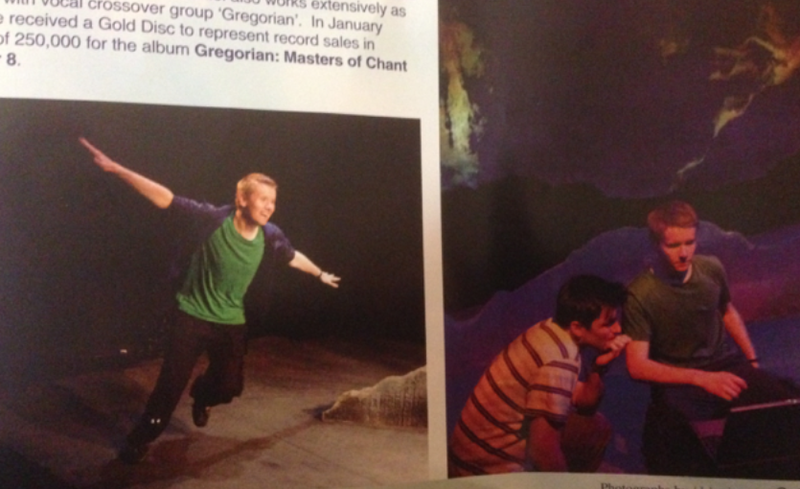 There is something surreal, uplifting and magical to see your own story being given new life as a stage production. Tim’s adaptation and Dyfan’s sweeping music capture the essence of the story. The young actors’ brilliant performances encapsulate what it is to be young and deal with the dynamics and emotions of friendship. 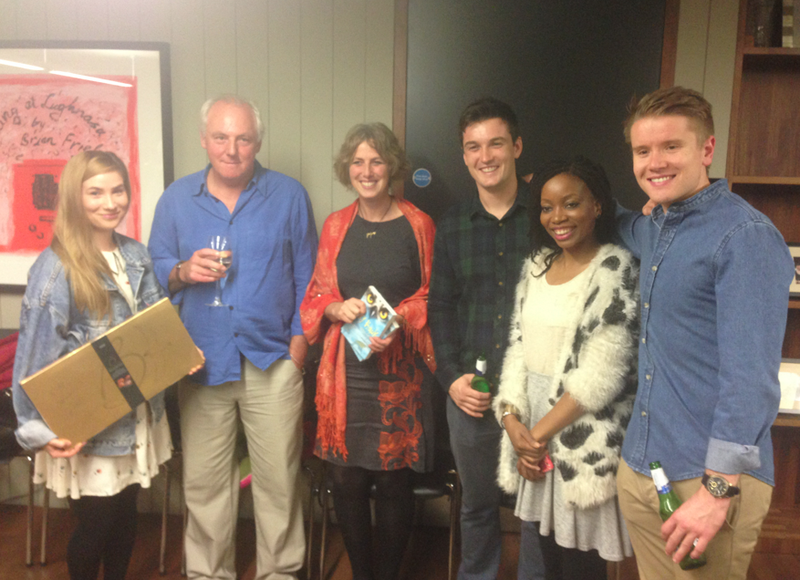 The actors’ singing voices are truly incredible too…worth going along just to hear them sing. I’m not sure how they manage three performances a day! 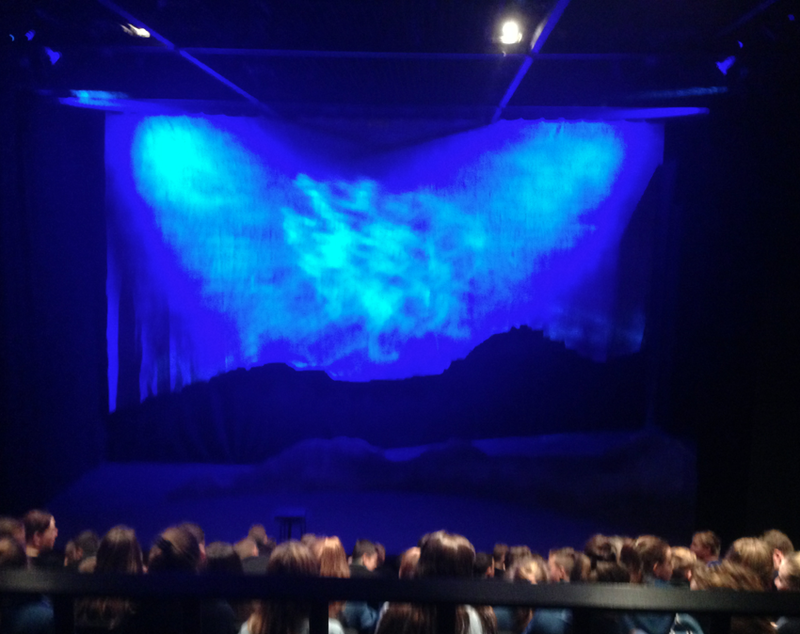 The set design is stunning in its simplicity; a rugged textured backdrop, onto which the images of flying ospreys, mountain and desert scenes are projected. As the author of the book, I loved it, but the real proof of the pudding was seeing the reaction of the children in the audience. Indeed, Tim’s production was so successful that it was a sell-out in 2013 and secured a major arts grant to tour Wales in autumn 2014. Philip Crawford from the Lyric Theatre in Belfast saw the production in North Wales and brought it over to the theatre in Belfast. Philip is a whirlwind of energy and enthusiasm and he managed to secure sponsorship from Belfast Harbour to bring 500 children from deprived areas in Belfast to see the show. It was brilliant to meet the children and answer their questions at the end of one of the performances. Philip and the librarians from the Northern Ireland Library Service invited me along to the first showing of Sky Hawk at the Lyric. 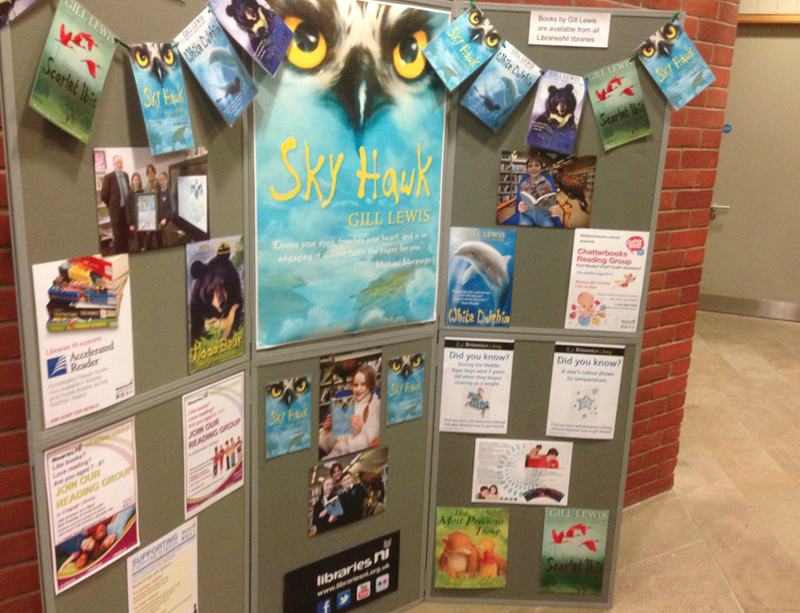 After a great book tour with the libraries last March, I was really chuffed to be invited to join them again and slightly in awe that they all came along to the first showing of Sky Hawk at the Lyric. The librarians took up a whole row of seats at the theatre, prompting the question…what is the collective noun for a group of librarians? Some suggestions were, a shelf of librarians (slightly dusty connotations? 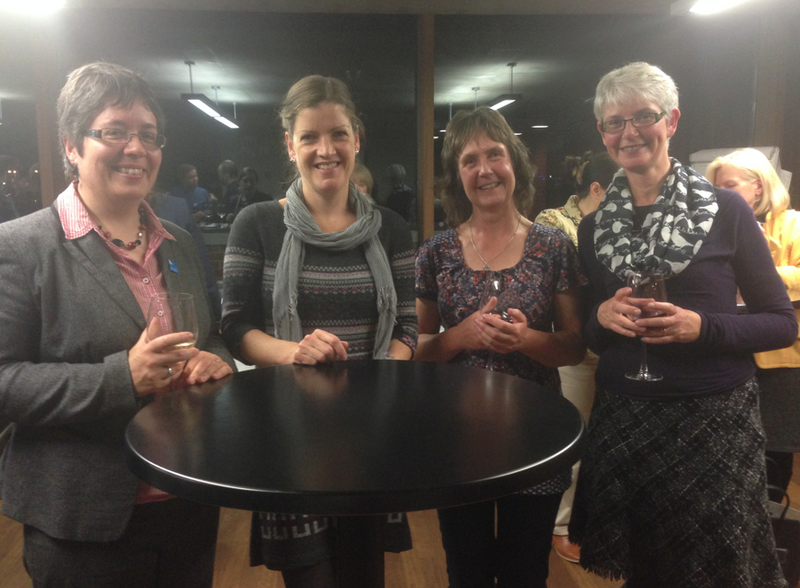 ), an archive of librarians (filed away out of sight? )...hmmm, maybe not. However, I think maybe it should be an enthusiasm of librarians. They are a definite force to be reckoned with. Despite the threat of major cuts, they share their love of literature, taking books into communities of all backgrounds, and into schools and prisons, and they do it with such a passion and conviction. It is their calling. They are a diverse range of people too. 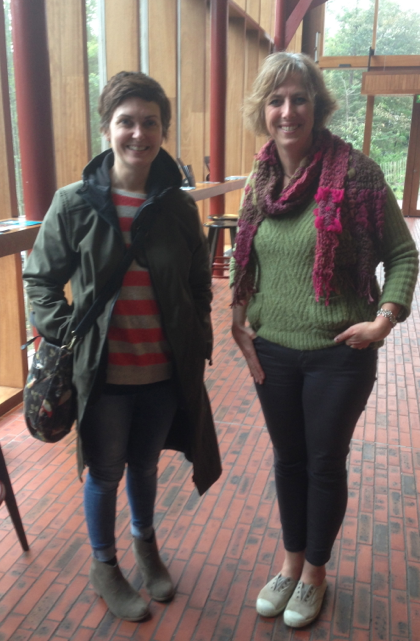 One librarian had recently returned from Uganda where she had been teaching sewing skills to women and children. Indeed, such is their enthusiasm that I am convinced that if you put a librarian and library in every school, literacy rates would rocket. Not to be outdone, the RSPB were there in force at the first showing of Sky Hawk too. 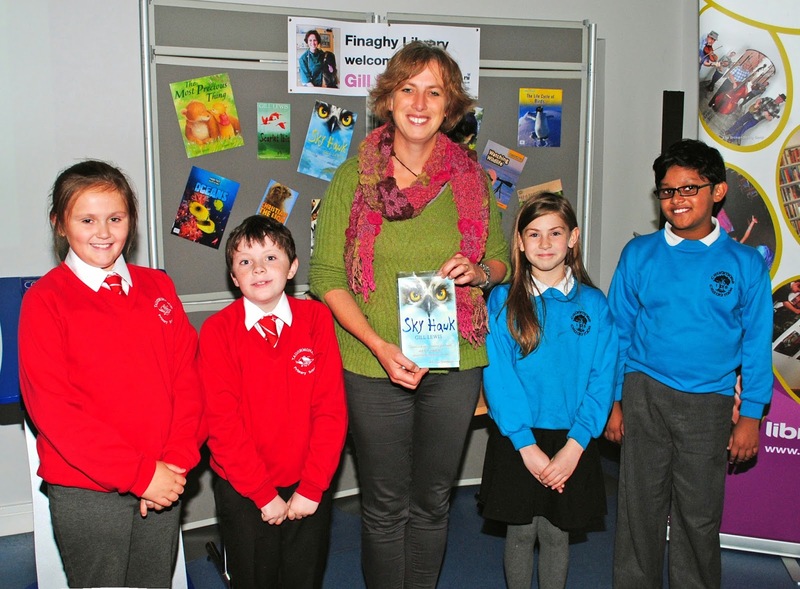 The RSPB do an amazing job in schools promoting awareness and love of birds and nature. What struck me during my short trip to Northern Ireland, was the enthusiasm of the people I met and the genuine passion to engage with young people to encourage a love of theatre, books and wildlife. From the theatre directors, to the actors, to the librarians, to the staff at the RSPB, there were no hidden agendas, no motives for personal gain, just a love of what they do and a motivation to share it with others. It is the arts that help us understand each other and make sense of the world around us, and so it seems almost criminal and lacking in foresight to cut funding to such a needed area. Instead, if the government harnessed this energy and embraced the goodwill and enthusiasm of people like the ones I met during my trip to Northern Ireland, society would reap the benefits ten times over. I hopefully managed to say such things to Marie-Louise Muir from BBC Radio Ulster. There are only a couple of weeks left of the Sky Hawk tour...so catch it if you can soon...but hopefully it will be on tour again.